Braces and supports are generally used as a temporary “crutch” to be used to allow for ambulation (movement) and stability while treatment is being provided to correct the cause of the loss of motion and stability. The trauma of a rear-end motor vehicle accident can cause damage to muscles, tendons, ligaments and cartilage (otherwise known as soft tissue). 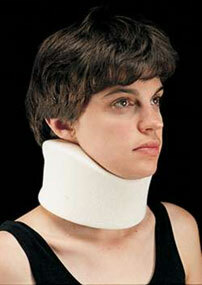 These injuries can make it difficult to support your neck or hard to walk because of lack of stability. In these cases, a cervical collar or back brace can not only provide improved support and stability it can also protect the injured area and prevent it from receiving additional damage. Braces should not be used, however, for a long period of time as the use of any kind of crutch will lead toward physical and psychological dependency. 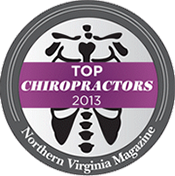 The muscles and soft tissue weaken and atrophy when they are not used fully as they were intended. 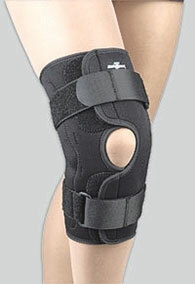 Additionally use of any kind of brace does not allow the supported area to move as it normally would. This can cause problems, especially for elite athletes, whose ability to change speed and direction quickly is what allows them to perform at the high level of athleticism that they do. Braces are made for all parts of the body. They range from simple elastic straps to highly complex multi-articulated appliances made of space-age light weight, yet very durable, synthetic material.